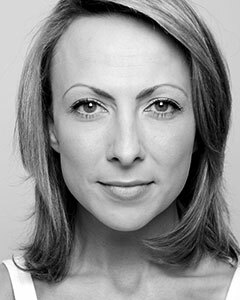 Jayde's credits include playing the role of 'Mona' and covering 'Velma Kelly' in Chicago (West End), 'Mary' in Jersey Boys (West End), 'Rosie' in Sweet Charity (Menier Chocolate Factory), 'Anita' on the Fiftieth Anniversary tour of West Side Story, 'Rizzo' in Grease (West End), 'Stephanie Mangano on the UK and Asian tour of Saturday Night Fever, 'Ali' in Mamma Mia! (International Tour), the original London cast if Thoroughly Modern Millie (West End) and Disney's Beauty & the Beast (UK Tour). She trained at the Sandra Needham School of Dance and Bird College of Performing Arts. Jade joined the cast of The Rocky Horror Show in July 2013.